The Jurassic witnessed a world populated by dinosaurs. While giant plant-eaters munched their way through ferns and conifer forests, large carnivores chased them down for lunch. At the height of the Age of Dinosaurs, they were found on every continent. They flourished in the warm environments of the time. 200 million years ago was "something big". It made over have of the population on earth to go extinct on land and in the sea. 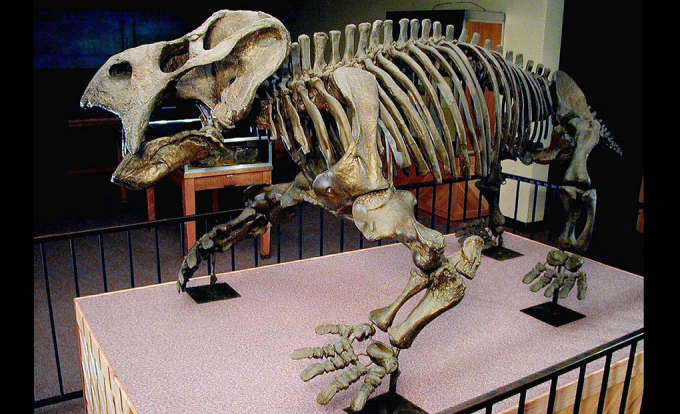 Scientists rely on fossils rather than photographs is fossils can show how old the dinosaur is. And the pictures aren't actually real. Fossils show what type of animal was there, and when they were around. This was interesting. i didn't know that it was crocodile's that dominated. I wish there was more information on why they went extinct. Scientists rely on fossils instead of photographs because fossils are more reliable than photographs. All photographs of dinosaurs are artist recreations were as fossils show when a dinosaur disappeared (relatively) and where a prehistoric creature might have as stated when the article said "Fossil evidence shows that they arose about 230 million years ago..."
Scientists rely on fossils instead of photographs because in the time of dinosaurs and before the dinosaurs, there were no people to take photograps. Scientist know that fossils are real evidence of life, while if there are any photograps they are drawings or photoshopped; and not real or accurate displays of what prehistoric life looked like. "But, dinosaurs were not always so prominent. Fossil evidence shows that they arose about 230 million years ago during the Triassic period, but remained scarce as other reptiles took center stage. Many mammal forerunners, such as the large plant-eater Placerias, prospered. 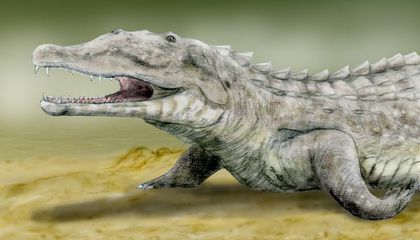 Huge crocodile-like animals like Smilosuchus were the top predators of the Triassic." This shows that scientist rely on fossils, because if they relied on photograps, they wouldn't have known that there was life before dinosaurs because it hasn't been drawn/photoshopped. I enjoyed this article because I never thought about what lived on earth before dinosaurs, as dinosaurs are the stars of all prehistoric books and movies. I enjoyed this article. Scientist rely on fossils instead of photographs for many reasons. First, a fossil is three dimensional while a photograph is not. This allows scientists to see around and over the fossil and get a true idea of its shape. Fossils can be tested. By doing different tests they can see how old they are. Using fossils, rather than photographs, would allow scientists to better compare them to other like fossils. They could weigh them in addition to putting them under a microscope to learn more about them. You could not do this with a photograph. Dinosaurs are now being discovered and the scientists are now talking about how was the boss before the dinosaurs. I think that the boss was God because he had created them and then destroyed them because God was brain storming. While he was brain storming, he created these things and then he just destroyed his creation. Scientists rely on fossils instead of photographs because it is a way for them to actually have a piece of something long ago rather than them looking at a picture of a piece. The fossils are more accurate and real. An example is that paleontologists using the fossil record found something huge that changed life more than 230 million years ago! Fossils allow them to find more information. I enjoyed this article because I find it interesting to know what living things walked on this planet before we all did. Now that scientists are finding more information, allows us to learn a lot more about the past.